Are plastic sleeves causing propane cylinders to rust? The virgin cylinder exchange business of the early 1990s found its groove in the willingness of American homeowners to pay a premium to replace their battered, empty propane tanks with clean, full ones wherever they bought gasoline, grills and groceries. In fact, the convenience launched several national distribution networks that steadily stole the bulk of market share from traditional bottle refill stations – and helped remove thousands of dangerous, old rusted cylinders from public circulation. Today, an estimated 50-65 million 20-pound cylinders fuel grills, patio heaters, mosquito traps, turkey fryers, fireplaces and fire pits nationwide. Another 8-10 million new cylinders are added to the market each year, making it the industry’s fastest growing segment. AmeriGas (DBA AmeriGas Cylinder Exchange – ACE) and Ferrellgas (DBA Blue Rhino) own the lion’s share of the current 20-pound cylinder refill business, and both publicly owned retail giants tout the success of the market niche as crucial to their overall company financial success. They and other major players invest heavily in point-of-sale marketing messages to get millions of shoppers to choose their brand to fuel their backyard events. 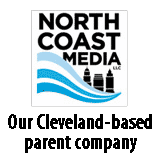 Every bottle sold in cages at big box stores, local hardwares and corner gas stations comes wrapped in a slick, colorful plastic sleeve adorned with a company name and logo to differentiate the brand. Dozens of people in the industry say rust forms behind the plastic bands. But it is what’s behind these miniature billboards that is causing commotion in the propane community. Dozens of cylinder refillers, exchangers, refurbishers and safety officials from across the country say there is an issue with rust forming behind the plastic bands. They suspect it is caused by moisture – from outdoor storage and the condensation that forms during tank use – getting trapped between the non-permeable plastic band and the steel tank. 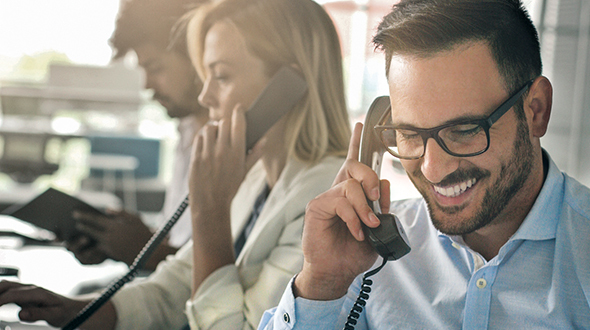 Some marketers claim to have found gas leaking from behind the sleeves – a condition they fear is a potential hazard hidden from the view of their unknowing customers. The concern is compounded by written instructions not to remove the label, which also carries important consumer information about the dangers of propane and carbon monoxide, proper cylinder transportation, storage and disposal, connecting cylinders to appliances, checking for leaks and a reference to gas appliance manufacturers’ instructions. In September 2007, LP Gas Magazine safety columnist Jay Johnston challenged the advisability of using plastic sleeves on exchange cylinders. In response, Ferrellgas officials submitted a 500-word letter to the editor defending the practice and specifying “plastic sleeves on cylinders do not cause cylinders to flash rust.” The letter was signed by the management and staff of AmeriGas Propane, Blue Rhino, Paraco Gas and Worthington Cylinder Corp. and ran in the magazine’s January 2008 edition. Cylinder rust results from several reasons; to cite one specific cause and want change is not right, one source says. The letter triggered a storm of reaction that is still being debated within industry circles, including the National Propane Gas Association’s (NPGA) Technology, Standards & Safety Committee (formerly the Technology & Standards Committee) and the Cylinder Exchange Council. It also has generated pointed criticism at the lack of concern and willingness to address the issue. Blue Rhino, which was bought out by Ferrellgas in 2004, is the nation’s leading cylinder exchange operation with branded tank displays at more than 41,000 retail locations in all 50 states. Ferrellgas officials aren’t explaining the company’s position or commenting on the stir its letter has created. A request for an interview for this story was declined. Carey Monaghan, vice president of sales and marketing for AmeriGas, would say only that the nation’s largest propane retailer stands behind its position in the letter. ACE services more than 15,000 retail locations across the country. AmeriGas officials earlier this year said cylinder exchange volume was up a whopping 39 percent – to about 10 million cylinders – due to the addition of new locations and an 8 percent increase in same-store sales. A key to the company’s growth has been its new self-serve cylinder dispenser, which is now in place in almost 1,000 locations. “Do I think it’s a problem? I honestly don’t know. Unfortunately, it usually takes a number of incidents before we really know we have a problem and I am not aware of any safety incidents regarding this issue,” says Ted Lemoff, principal gases engineer for the National Fire Protection Association (NFPA). Cylinder sleeve rust concerns have been heard in the industry since 1997 without any official action. 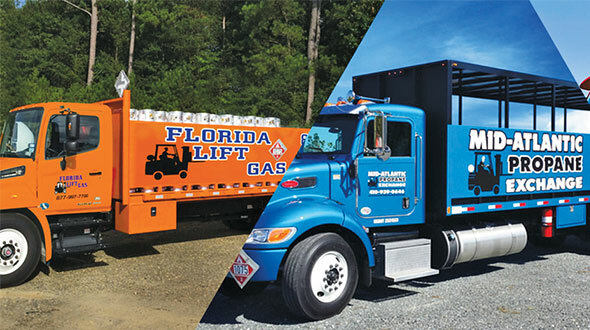 Bill Mahre has worked in the propane industry for 56 years, including four years as an independent owner and a stint as safety director for a regional company with 50 plants and 500 employees. The owner and president of Propane Technical Services, a Minnesota-based firm that investigates propane accidents, was irate after reading the claim that the sleeves do not cause rust. “I filled my first 20-pound cylinder in 1952, and I have filled hundreds of them since. I have never seen the flash rust occur on the cylinders the way it does with the plastic sleeves. I am telling you that statement is absolutely false and they are misusing their position in sending this letter to the editor because it’s a damn lie,” he says. Mahre isn’t alone in his concern. Readers from New Hampshire, Minnesota, Texas, Oregon, North Carolina, Montana, Colorado, Ohio, New Jersey, Oklahoma and Maine wrote and called to tell of their experiences and concerns. Most sent photos documenting distinct rust patterns on both the cylinder walls and inside the sleeves that had been removed. 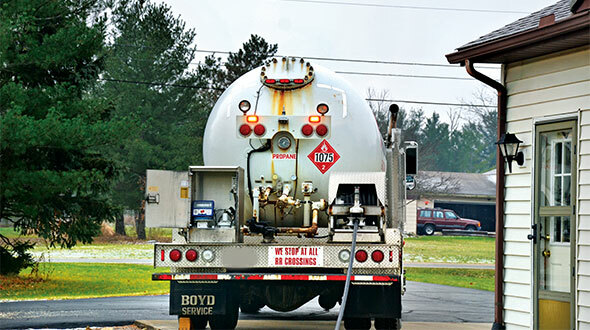 According to U.S. Department of Transportation (DOT) and NFPA codes, it is the responsibility of the propane filler to check that each container is suitable for continued service. Containers that show excessive denting, bulging, gouging and corrosion are to be removed from service. Technically, refillers must be DOT-certified to perform those duties. Blue Rhino, ACE and the other large exchangers maintain that they remove the sleeve and fully inspect each returned cylinder before it is refilled. They note that many cylinders are returned and inspected two or three times a year, ensuring that any rust buildup is addressed before it poses a problem. But many of the empty name-brand bottles are not returned to company exchange sites. Instead, they are taken to the thousands of local refillers who may – or may not – remove the sleeve and provide the full inspection required by code. Refurbishers and refillers in the field say customers are returning some empty tanks that have been repainted above and below the old sleeve; others have been completely painted over – sleeve and all. David Slone spent 13 years as vice president of safety and technical services for Blue Rhino and Ferrellgas before joining Manchester Tank 14 months ago. Manchester and Worthington split the domestic market for 20-pound cylinder sales. The Tennessee-based manufacturer was asked to sign the letter to the editor, but was bypassed after suggesting language changes that acknowledge that plastic sleeves can trap moisture and facilitate rust. “We had personal experiences where we saw cylinders in the field with sleeves and the corrosion was a little more severe under the sleeve than it was on the rest of the cylinder,” says Slone, director of lean manufacturing and quality processes at Manchester. “You might be technically correct to say that a plastic sleeve does not cause rust itself, but in fact it is a contributor to the environment where rust is created. So we thought that we should not make that statement. Steve Gentry’s position is formed by testing that his employer, Worthington, has done on its product. The Columbus, Ohio-based cylinder manufacturer tested uncovered cylinders against those packaged in several types of material – including plastic sleeves – in prolonged exposure to the elements and against salt spray. “Our side-by-side testing revealed no difference whatsoever. In all of those outcomes there was, in fact, no rust or formation of rust – whether it be flash, pitting or underneath any of the sleeves,” says Gentry, regulatory affairs manager at Worthington. That’s not to say he doubts the frontline reports of corrosion issues, however. All Worthington testing was done exclusively with newly manufactured cylinders that had never been exposed to subsequent steel preparation or painting methods. “I think it might be a different situation on a newly manufactured product versus a reconditioned or refurbished one prior to refilling,” he admitted. Both Manchester and Worthington offer customers an assortment of packaging options for their new cylinder orders. Sometimes the manufacturer applies sleeves that the propane retailers provide; other times they ship plain tanks for exchangers to fit themselves. Still other orders go out in cardboard boxes or with corrugated cardboard separators to protect the product during delivery. Those who prefer sleeves can choose from corrugated cardboard, plastic mesh, cloth mesh, non-corrugated cardboard, paper cartons, shrink-wrap and stretch-plastic materials. Gentry, Slone and Tom Freeland, vice president of engineering quality research and development for Manchester, agree that the quality of cylinder preparation and painting is a key ingredient in identifying any rust problem. Unlike pristine new cylinders that enter the market with methodical preparation and precisely measured powder-coated paint from the manufacturer, they say refurbished tanks can offer diminished standards of rust prevention. “At one time (a cylinder) had a manufacturer’s preparation and coating on it. Another time it was coated by anybody in the field with any kind of paint they decide to put on it. How well that cylinder coating is put on is an uncontrolled factor out there. Some coatings are good; some are not so good. If somebody takes a wire brush to it and then uses the cheapest aerosol can they can find to put it on, it’s not going to provide nearly the protection that a powder-coated finish would,” explains Freeland, who has been in the industry for 45 years with five different manufacturing companies. Gentry, a longtime member of the TS&S Committee, concedes there is enough concern about plastic sleeve rust to warrant further investigation. “Yes, we want to maintain the level of safety we have and always try to get better. And we need to do that whether it’s through testing, whether it be through whatever means, to assure ourselves that when a cylinder is being properly inspected it is approved and safe to go back into the field,” he says. Cylinder sleeve rust concerns have been vented through official industry channels since at least 1997 without any definitive action. Most discussion has ended with a consensus that the public safety is appropriately safeguarded by regulations that require all cylinders to be examined before they are refilled. NPGA’s TS&S Committee reviewed concerns 11 years ago. A task force was formed and disbanded in 1999 without recommendations, concluding that marketers are equipped to remove any dangerously corroded cylinders from service. “There is a standard used for visual requalification of cylinders. It talks about how to measure corrosion and how to determine whether or not that cylinder can be used for continued service. So the marketer does typically have the tools,” says Bruce Swiecicki, NPGA staff representative to the committee. And if there is evidence that many cylinders are being refilled without proper inspection? “I would think the industry would certainly be interested in learning more about this if there is an issue out there regarding these sleeves,” Swiecicki adds. The Cylinder Exchange Council is composed of companies and individuals that conduct business in that business segment. 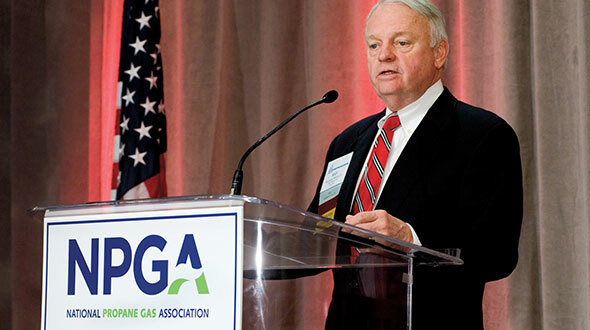 It operates under the umbrella of NPGA to conduct advocacy, research and other activities on topics of interest to the public and the propane industry. It does not carry any authority within the industry, however. 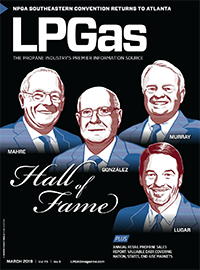 Len Caric, director of business development for AmeriGas before resigning June 30 to pursue an opportunity outside the propane industry, served as the council’s chairman. He is not convinced that sleeve rust is a formidable issue, and believes better communication and training within the industry should adequately address the issue. “To take a few stories here and there and attempt to make some analogy to the whole industry is not a good way to assess (the issue),” says Caric, who previously worked for Pennsylvania tank refurbisher McKnight Cylinder before its purchase by AmeriGas. “Cylinders that are rusting are an issue regardless of whether it’s grill cylinders with a sleeve or not. To say that something is causing rust and therefore should be changed is not right. There is a myriad of reasons why rust forms on cylinders. It’s part of doing business,” he says. That doesn’t appease Mahre, a longtime TS&S Committee member. He also serves as chairman of the Government Affairs Committee of the Minnesota Propane Gas Association, where several marketer members asked him to press the issue at the national level. After fighting to get the issue put back on the docket last fall, the committee has formed a new task force that is scheduled to meet next month in Indianapolis. Mahre says he wants the committee to delve into assessing the cause of the rust, which he suspects stems from the tank preparation, painting and drying done before refurbished cylinders are filled. He also wants to study the wear of blasting rust from the area three or more times a year over time. “Is that going to deteriorate the integrity of that cylinder wall? I don’t know. My disappointment is that, for some reason, (TS&S Committee members) don’t want to talk about it,” he says.